Snoring is caused by an obstruction of the airway and essential oils can actually decrease inflammation that may be causing the obstruction. While you sleep and your tongue relaxes in your mouth, the airway can become blocked and limit the flow of oxygen. When this occurs, your tissues in your mouth start to vibrate with the passing of oxygen and thus producing the annoying sound of snoring. Essential oils and blends clear the nasal and throat passages to prevent snoring. The use of oils to treat snoring is effective and all natural. 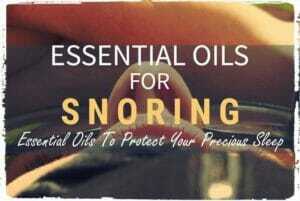 Essential oils used for snoring are extracted from many different parts of various plants. Some plants produce more oils in their roots, and others in their leaves or blossoms. The essential oils used to treat snoring, which include lavender, marjoram, peppermint and nearly a dozen more, can all physically treat inflammation in the nose and throat, but also provide an emotionally calming quality throughout your night’s sleep. Thyme is a natural treatment for respiratory ailments – it helps clear the airways and strengthens the immune system. Thyme can be a harsh irritant on the skin in its natural form, so it’s common to mix Thyme oil with another oil, commonly referred to as a carrier oil, so it’s less harsh. A few carrier oils are jojoba oil, olive oil, and coconut oil. If you mix a few drops of Thyme oil with a carrier oil and then apply it on your feet near the base of the toes, this will trigger the reflexology and target snoring. Marjoram oil for snoring is also quite effective. Like many of the other oils I have mentioned, marjoram is also another anti-inflammatory. It’s commonly used to treat sinusitis, cold and congestion, and even bronchitis. Marjoram oil opens up the airways so it’s easy to breathe and diminish snoring. 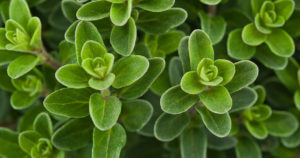 Marjoram oil can be mixed with other oils and steamed. Note that it’s best for pregnant women to stay away from this oil until after delivery. Valor essential oil blend is actually a combination of oils – typically rosewood, frankincense, spruce, and blue tansy. The valor blend is effective in treating snoring by rubbing the oil on the bottom of the foot or diffusing it. You can use the valor blend with carrier oils like olive oil or coconut oil as well. 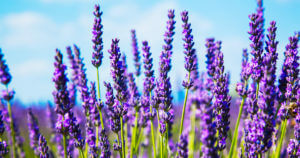 your bedroom 30 minutes before bed, or steam a hot bath with a few drops of lavender. This oil will relax you, open up your airways, and prevent you from snoring. Peppermint oil is found in the peppermint plant and is a combination of water mint and spearmint. Peppermint is more commonly used to treat irritable bowel syndrome and upset stomachs. However, peppermint oil is found in many over the counter products that treat the common cold, sinus congestion, and sore throats. Since we already know that one cause of snoring is due to congestion or inflammation of the tissues in the throat, it is becoming a popular essential oil to treat snoring. 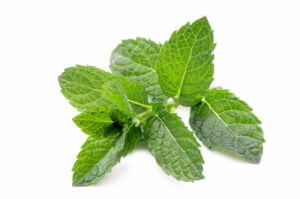 The two most common ways to use peppermint oil for snoring are to apply it topically and to steam it. To use it topically, rub a few drops of the oil directly under your nose and on either side of your nose. It can also be steamed by adding a few drops to a hot bath or a sink full of hot water. Inhaling the steam will reduce any swelling in your nose and throat and should clear your airways. Some people gargle with peppermint oil and water, however, I would not recommend this, as you should not ingest the oil in its natural form. Eucalyptus oil is a natural decongestant and anti-inflammatory. It is used in a variety of products including inhalers, creams, mouthwashes, and rubs. Eucalyptus oil is a natural respiratory treatment if you suffer from allergies, severe sinus infections, congestion, or asthma. It is often used in aromatherapy or steamed so the eucalyptus can clear your sinuses and airway. One reason why you snore is due to congestion in the nose and throat. If you experience sinus congestion or blockage, chances are you also snore through the night. You may want to consider adding Eucalyptus oil to your water during a bath or diffusing it in your bedroom during the evening. You can place a few drops of the oil under your nose before bed, or add it to a skin cream and apply before bed. Eucalyptus is a great oil to blend and it works well with marjoram, thyme, and rosemary oils. You can mix a few drops of each together along with lavender oil and mix in a spray bottle. The blend is great when diffused and is sure to calm your sinuses and decrease your snoring. Tea tree oil is used to reduce inflammation and is commonly an herbal remedy for a sore, irritated throat. This is one reason why it’s used for snoring – if you happen to carry extra weight, particularly around your neck, the use of tea tree oil can decrease any inflammation in your throat that may be due to carrying excess weight. You should never ingest tea tree oil – it should not be swallowed – it’s safest to apply it topically or breathe in the steam. The four most common ways to use essential oils for snoring is to apply them topically, diffuse them, steam them and breathe the vapor, or gargle with them. Some essential oils are harmful to ingest, so may people gargle with a few drops of the oils and water in order to get the benefits of the oil without swallowing it. A good combination to gargle and target snoring is a mix of thyme, lavender, lemon, and peppermint. Combine these oils with water, gargle for 10 seconds, and rinse out your mouth. Diffusing is very popular these days and is probably the most effective way to seep out all of the benefits of each oil. You can purchase an electric diffuser, or simply place the oil in a glass apothecary vase with some diffusing sticks. It’s also common to treat snoring with essential oils by applying the oils topically on the skin. Depending on the oil, you can put the drops directly under your nose, on your nostril, or on your feet. You can also mix several oils together and create your own topical cocktail. Another great way to stop snoring is to steam the essential oils. This is similar to diffusing them, except the oils are steamed in a hot bath or sink full of hot water. You then inhale the steam in order to feel the healing effects of the oils. Not into the Oils and Need another Snoring Solution? Some essential oils can cause severe allergic reactions – make sure you are aware of any allergies to oils before using these remedies as a treatment for snoring. Essential oils can be expensive and may not be the best fit for everyone. If you find that you have oil allergies or are pregnant, a great alternative solution to stop snoring is a snoring mouthpiece. My list of recommended mouthpieces is here. 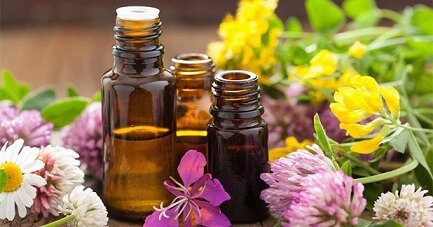 If you intend to treat your snoring with essential oils, give several of the oils a try before committing to them all. Essential oils can be a bit pricey, even for just a few ounces. You may want to try out a sampler of the oils and use them topically or in a basic diffuser to start. Whichever route you go, I wish you a peaceful night’s sleep that is snore-free.